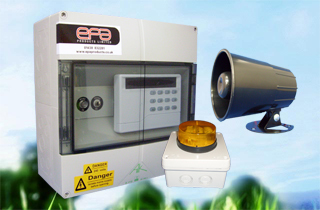 EPA Products is a supplier of control systems, alarm systems, Ziehl fans and poultry house lighting systems primarily to the agricultural sector, but increasingly to other engineering sectors. 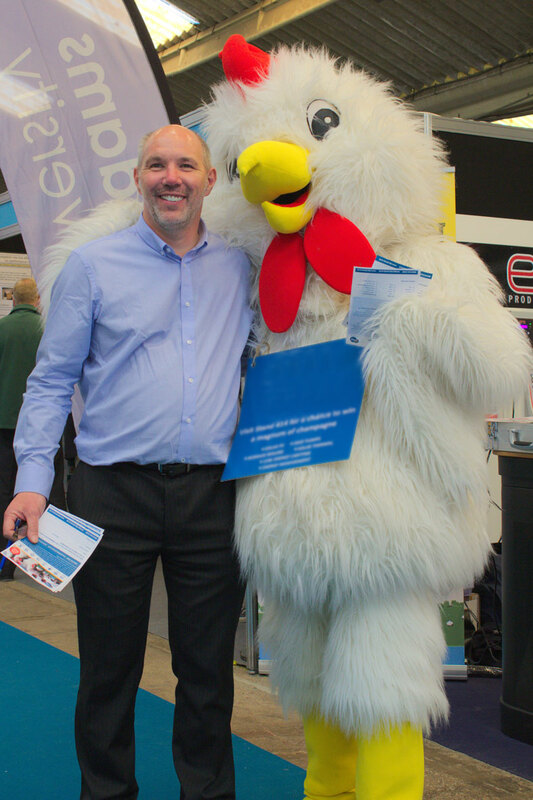 The firm has been established in Hertfordshire, UK, for over 40 years. 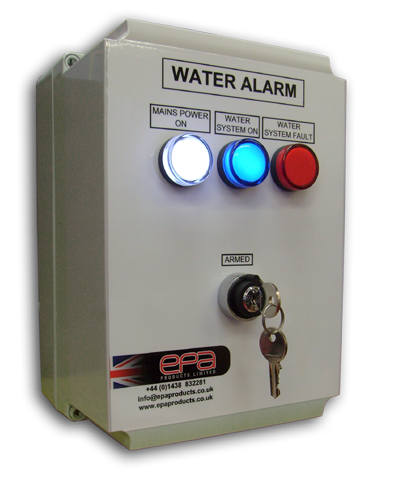 From this site you will be able to view our range of products, link to other sites for technical information on the products EPA acts as a major distributor for and view solutions for all your needs. We look forward to hearing from you. 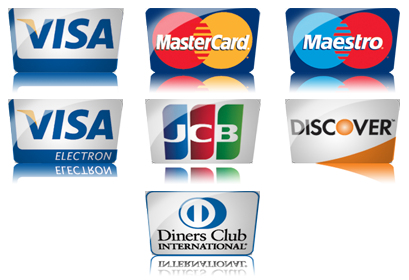 With its revolutionary contactless induction power technology you can just clip on lamps wherever you wish and walk away no tools are required. 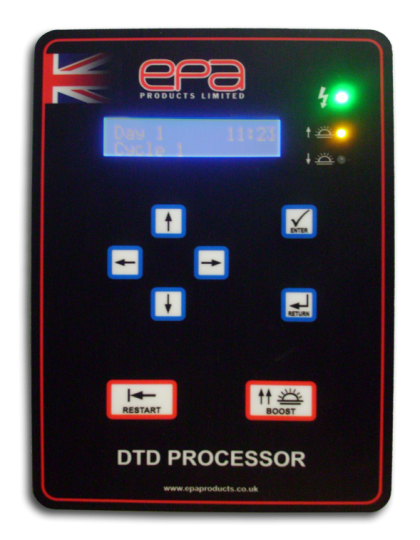 Smooth Dimming Control with manual potentiometer or 1-10v signal ideally suited for use with EPA’s Dusk Til Dawn Controllers. 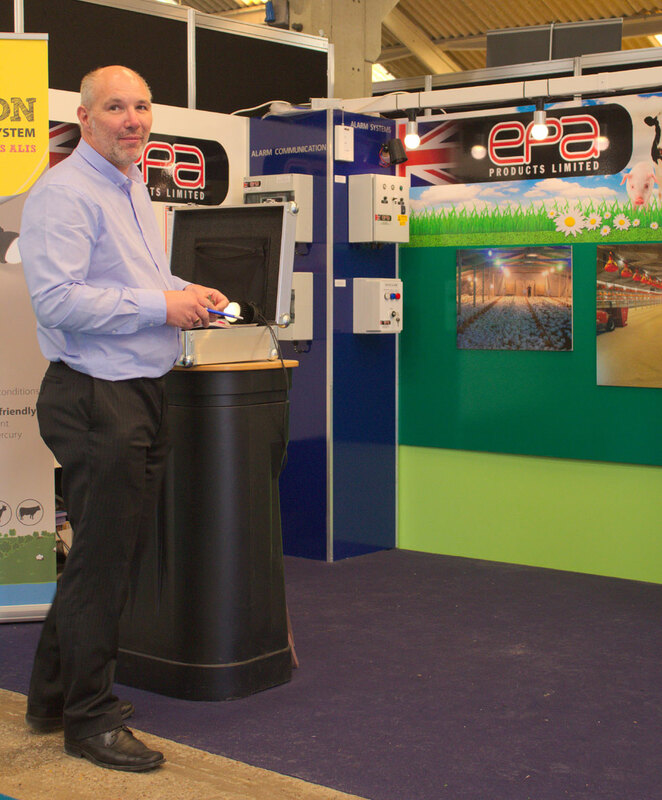 Click to Read more about ALIS Induction Powered Lighting. Programmable control for your Dusk till Dawn Lightng needs. 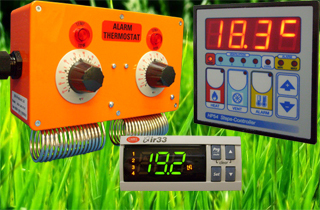 Monitor the water level in your header tank with our simple Water Alarm Unit. With our simple but clear design you are able to keep a check on the minimum water level in your header tank. Stop flicker in your dimmerble Led Bulbs with our LED electronic dimmer. The LED Symmetry control dimmer is designed and manufactured to dim and regulate LED lighting systems. 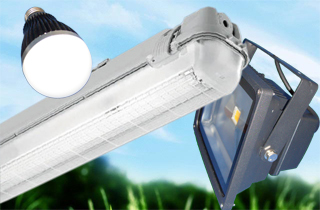 A common problem with dimmable LED light installations is light flicker and this problem is aggravated by interference from the main power supply. 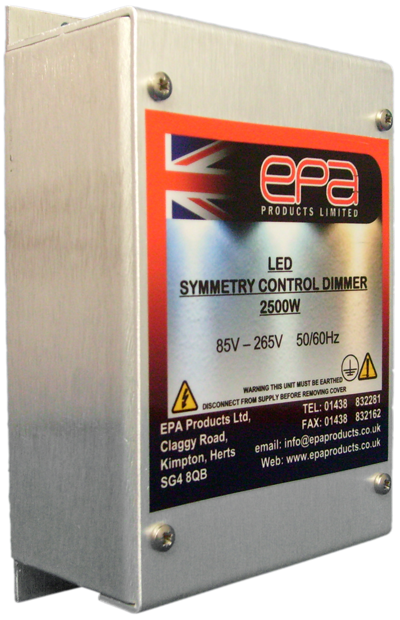 EPA Products Ltd designed the LED Symmetry control with a micro processor, this will allow for automatic adjustment to its operation up to 60 times per minutes to prevent light flicker. A number of LED Symmetry controls have been tested under harsh conditions with poor quality main power supplies without any light flicker. 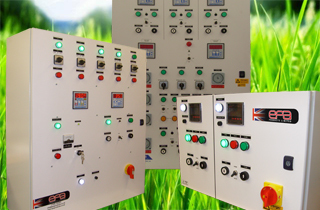 Led Symmetry control can be retro fitted to existing control panels worldwide with main power supply ranging from 85VAC to 265VAC, 50/60Hz. 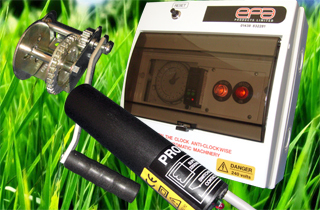 Control input can be 1-10v signal or a remote potentiometer. 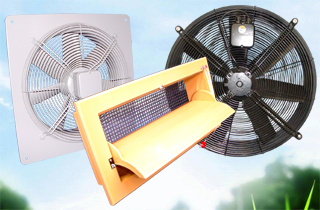 We supply a wide range of lighting ranging from dimmable fluorescent to dimmable LED.